Falling trees were blamed for three deaths during the powerful windstorm that swept through the PNW on Tuesday, Nov 17th. Extensive damage was also done to property and buildings during the storm which knocked out power to hundreds of thousands of people. It’s amazing how powerful the wind can be. During the storm we heard a loud cracking sound outside and ran outside to see one of the huge evergreen trees that border our neighbor’s yard completely uprooted and lying on its side. Luckily, it fell into the yard and missed hitting any personal property. Many others were not as fortunate! Sometimes, it takes a devastating accident to happen before people take seriously the need to take action and protect their loved ones and property. We don’t want that to happen to you! At Aadams Tree and Landscaping our tree care professionals will be happy to give your property a tree evaluation. 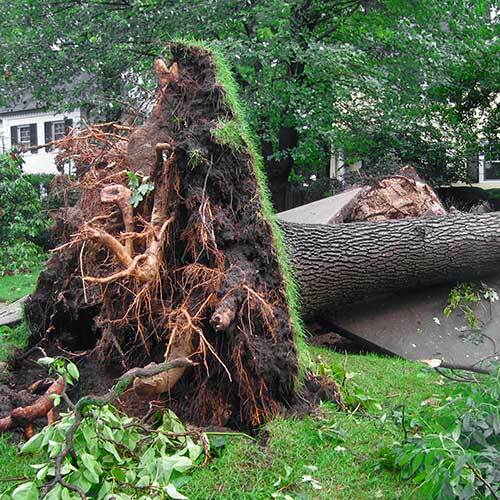 They can help you identify any “high risk” trees and give you options for dealing with these potentially dangerous situations. 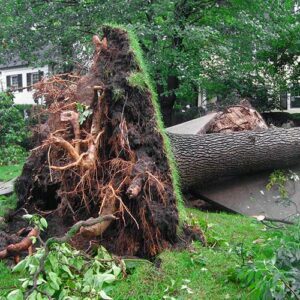 If you had trees come down in this storm, our skilled and experienced crews are available 24 hours a day to safely removed any felled trees without causing any further damage to your property. Were you affected by Tuesday’s storm? Share you experience with us in the comments below!